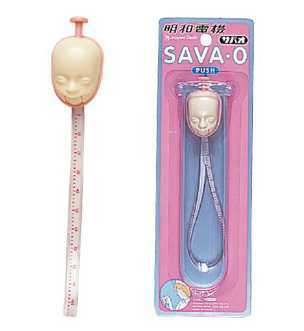 "SAVA-O, a ventriloquist's dummy with the face of a 13-week old embryo"... is how Japanese novelty goods manufacturer Meiwa Denki (maker of the Soviet-style retro phone watch) describes this very unique item. One can only ask, "Why?? ", but words alone cannot convey the depth of my bewilderment. I bet it sells like hotcakes! 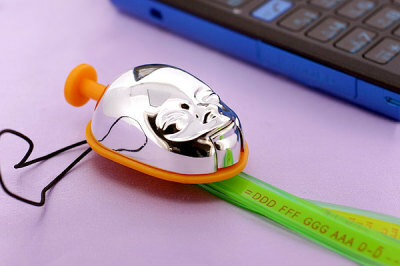 If most novelty goods makers are scraping the bottom of the barrel in their relentless earch for bizarre and shocking content, then Meiwa Denki has broken through the bottom and is deep into the sub-basement with the SAVA-O Cellphone Strap. 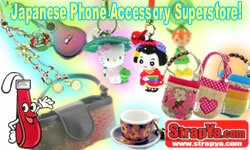 It's not easy to get information about SAVA-O, and I'm really not sure what the phone strap charm version could be used for - well, besides securing your Japanese-model cellphone and of course, freaking people out. 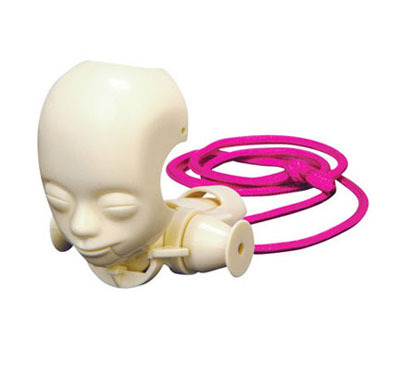 The freak-out part is due to the little pushbutton on the embryo's head which, when pressed, opens its teeny tiny mouth. What kind of things does a 13-week-old embryo say? Maybe, "Put me back!!". I would think the whole ventriloquism shtick would grow tiresome in a hurry but what do I know... Jerry had Elaine giggling uncontrollably at a Tweety Bird Pez dispenser during George's girlfriend's piano recital, and Seinfeld knows a few things about comedy. Speaking of Pez dispensers, an extra-creepy (if that's possible) SAVA-O Candy Holder is available. 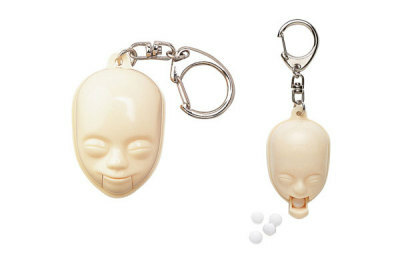 Fill the embryo's head (shiver...) with little candies or more likely, your medication, and a push of the button ejects them from SAVA-O's mouth into your cold, clammy hand. Even Crazy Joe Davola couldn't get Elaine to crack a smile with one of these, er, babies. Last and not least... OK, least, there's the SAVA-O "Samba Whistle", for all your samba needs. Blow into it and the embryo's mouth opens in a shrill shriek. Bringing a sack of these to a pro-life rally ought to make me very, very popular (not to mention rich). 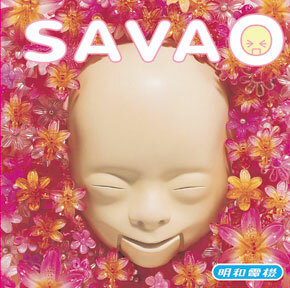 Other psychos who seek the sounds of SAVA-O may want to order the CD - I "kid" you not - from listen.com though amniotic arias from an embryonic Elvis are something nobody wants stuck in their head. Am I right? This is just so wrong. I don't know how you manage to find all this sick stuff. Hilarious.